If you love lots of choices, go for getting married in the spring. With so many color and texture available don’t be afraid to add a little pop of magenta, touch of yellow, hint of burgundy or dash of orange to add a unique element to your spring wedding bouquet. Mix these untraditional colors with the traditional spring blooms to create an interesting and one of a kind bridal bouquet that is sure to wow. If you are determined to have lilac, spirea, daffodils, fritillary, lily of the valley or hyacinth, then spring is the perfect wedding season for you! Below you will find some beautiful color palette options that are perfect for your stunner of a spring wedding! A summer wedding is the perfect opportunity to incorporate some delicate textures into your bridal bouquet. Some of the most beautifully colored and textured flowers are available during the summer months. For an elegant statement flower, dahlias are perfection. If you’re wanting an intricate flower that makes a statement, the bearded iris is a summer stunner that comes in so many rich colors. If you’re a bride that loves blacked eyed susans, dahlias, marigolds, gloriosa, or zinnia then consider these months for your wedding. Below are a variety of color palettes that will allow you to incorporate your favorite summer blooms. 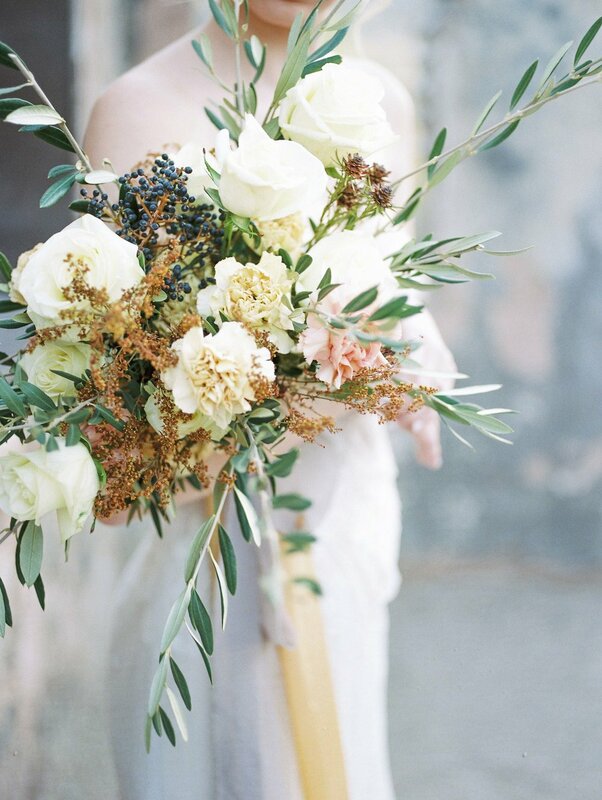 Fall is the perfect time of year to go a little moody with your wedding florals. Adding a splash of red, bronze or plum brings a fall floral palette to life. A few vibrant flowers specific to the Autumn season include celosia, flowering kale, dianthus, sunflowers, chrysanthemums, and rudbeckia. Add any of these seasonal blooms to your fall wedding flowers to create a palette that will have your guests in awe and ready to welcome winter. Below are a couple fall palette options that lean toward the moody side while still feeling very classic. Like spring, winter weddings have so many possibilities. For your winter wedding you can go for the classics likes creams and greens with just touches of a blush, burgundy or berry. Or you can choose to go merry and bright with something like a cranberry inspired palette. If you’re a bride that loves hellebore, this would be the season for you! Some other blooms that thrive during the winter months are amaryllis, lilies, hypericum, narcissus and ranunculus. Below are a variety of palettes that would be perfect for your winter wedding! 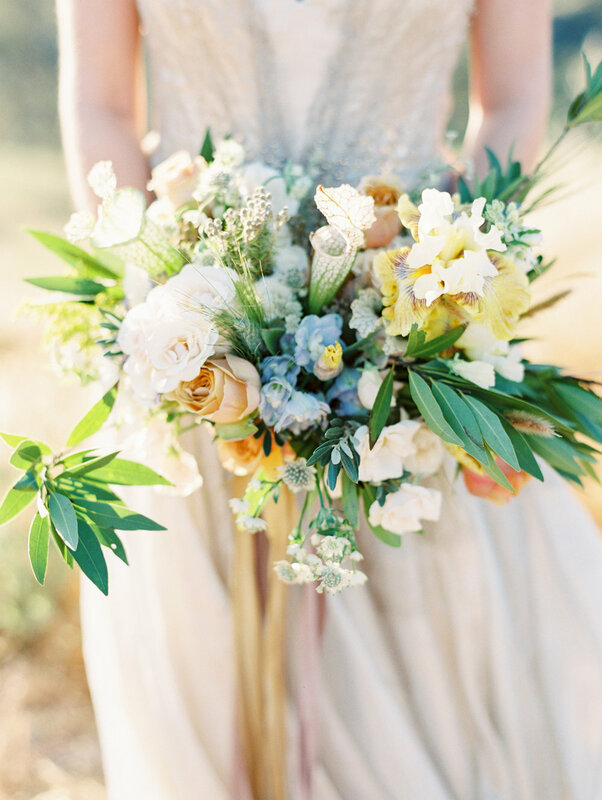 Helping brides create a one of a kind floral palette is one of our favorite parts of the job! These are just a couple options that would be perfect for a wedding within these seasons. We would love to chat with you and learn a little bit about how we can help make your wedding unique and customized to what sets your heart on fire! Contact us through our contact page or shoot us an email. We can’t wait to hear from you!